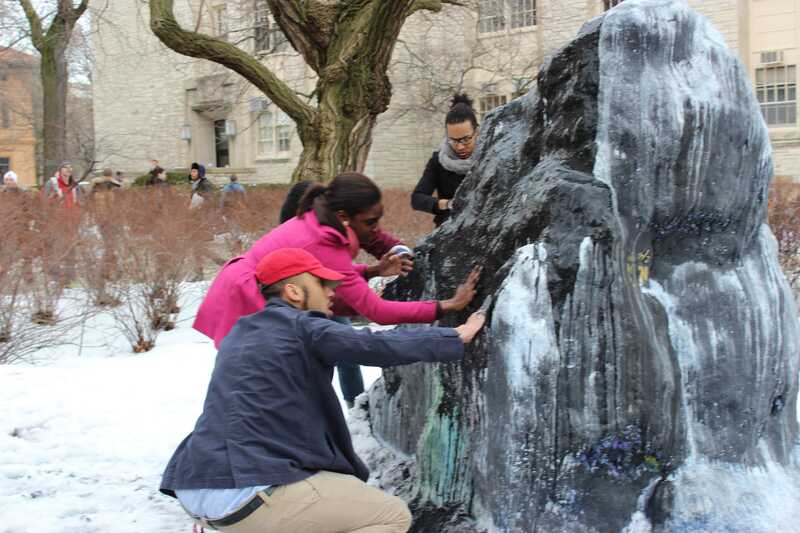 Students cover The Rock in black paint to symbolize Northwestern is a "community who won't stand for injustice." More than one hundred students skipped class or walked out of lectures to participate in the demonstration for racial change Thursday afternoon. More than 100 students left their classes this afternoon to march down Sheridan Road and participate in a demonstration at The Rock, calling Northwestern to change its campus culture of racism. The march was planned by students from Alianza and For Members Only in response to the treatment of Michael Collins, a University maintenance worker who says he found a black stuffed bear hanging as if lynched at his desk after experiencing racist treatment from a co-worker. 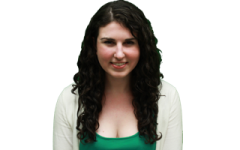 “I hope one day racism will not exist, not just at Northwestern, but throughout the country,” Collins said. The students then marched down Sheridan Road, which was lined with police officers. “People united will never be divided,” the students chanted as they walked. At The Rock, students spoke about incidents of racism at Northwestern that extended beyond Collins’ experience. They also poured black paint on The Rock.